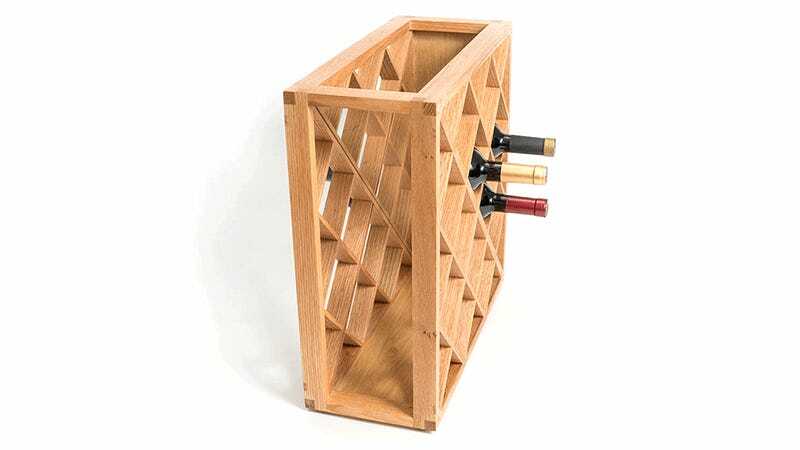 For just shy of $300, Harlequin Illusions will sell you a seemingly magical red oak wine rack that always looks empty when viewed from the side, despite there obviously being bottles stored in it. But the secret behind this trick isn’t wormholes or holograms, it’s a magician’s most faithful assistant. A quick patent search on Google reveals the real magic behind the Pinetti wine rack is nothing more than a mirror inside angled at a strategic 45-degrees to reflect the empty side of the rack. As a result, as the fine print on the Harlequin Illusions’ website reveals, the wine rack can hold 12 bottles when completely full, but only six of them (those positioned behind the angled mirror) will be hidden. So for the full effect, you can really only use half of the wine rack at any given time.